The house was cleaned to a good standard and had everything we needed. A great base to explore the island. Fantastic location, within walking distance of Steep Hill Cove. Nice looking property, well equipped, good position in walking distance into Ventnor, uphill coming back! House was beautifully presented, Christmas tree was a nice touch. We had everything we needed for a lovely holiday. I am delighted that you had a lovely New Year holiday at The Haven. Thank you so much for leaving your feedback. Great house, excellent space, good facilities and equipment. We would definitely book again and recommend to friends. Easy walking distance to town centre and beach. Thank you for your lovely feedback and recommendation for The Haven. Only niggle was that we were asked to strip the beds on leaving. We were on holiday and weren't expecting to be asked to do that kind of thing. Absolutely lovely house, great location. Fantastic hamper when we arrived ! 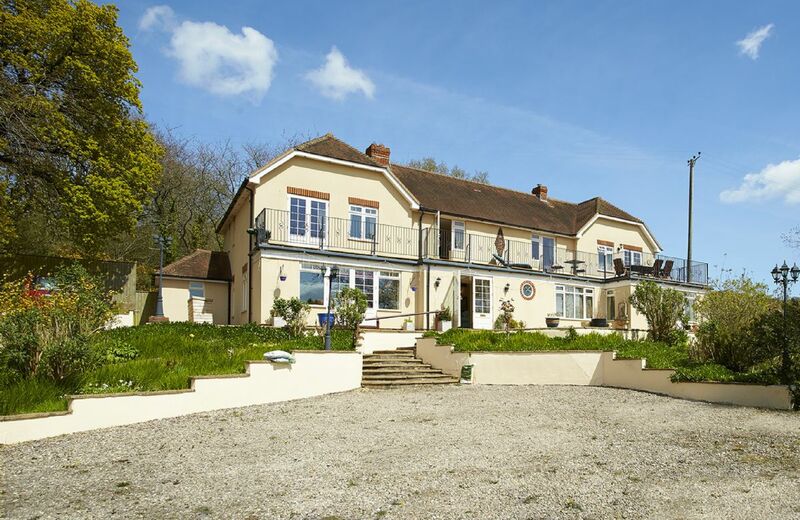 This luxurious detached house in Ventnor is in the south of the Isle of Wight, in an area known for its Mediterranean type climate. Secluded Steephill Cove is a five minute stroll away and Ventnor Botanical Gardens are just a two minute walk. For holidays taken between 19 April 2019 And 27 June 2019 Minimum of 3 nights booking. 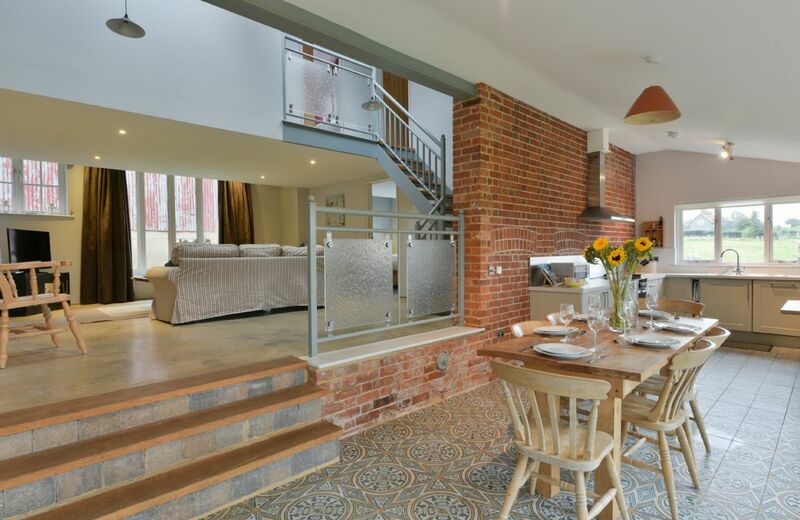 This is a large late Victorian double fronted town house, within walking distance of the award winning blue flag beach in the fishing town of Sheringham. Much of the North Norfolk coast is an Area of Outstanding Natural Beauty, renowned for its wild birds. Lovely cottage in peaceful location. Cosy cottage, lovely log fires, comfy beds.Nice basket of goodies when we arrived and set in short distance of Dartmoor for walking. The house was immaculate and extremely comfortable. The hamper was excellent. Because Tregathenan Barn in Cornwall spoiled me for anywhere else. We had a really lovely stay at The Moors House. Check in was easy, the bedrooms were all comfortable and a good size (even for 10 adults) and the kitchen was well equipped. The welcome package was really appreciated and we would highly recommend it. Would highly recommend and will definitely return. Thank you to the lovely owners who went above and beyond. Lovely cottage in stunning location the cottage was well equipped and the welcome hamper was excellent. A lovely way to see in 2017 with friends. The house was very well equipped and comfortable. Ideally the owners could air the property before guests arrive as both the boot room and the lower lounge/snug smelt very damp. We didn't realise that the property was overlooked and also attached to the owners cottage so it would be useful if that was also mentioned on the website. A very pleasant stay however and great value for money for a large group. 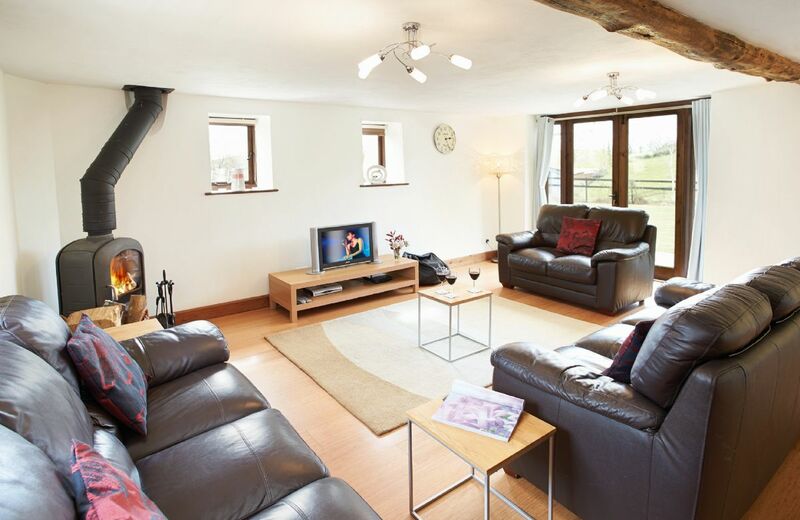 Beautiful cottage, very well equipped and furnished. Although the holiday cottage was of a reasonable standard the garden and location were a little tired and disappointing compared with the many holidays we have had in the past with Rural Retreats. 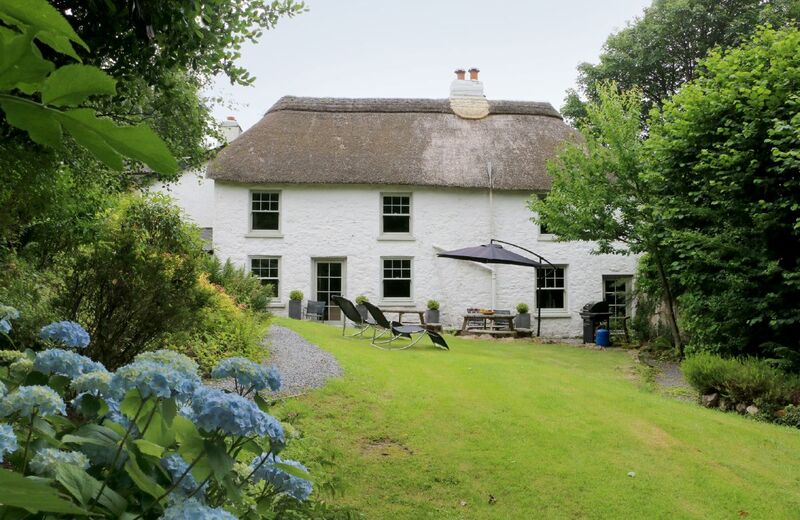 This 18th century long house is situated in the characterful village of South Zeal in the Dartmoor National Park, just over four miles from Okehampton. 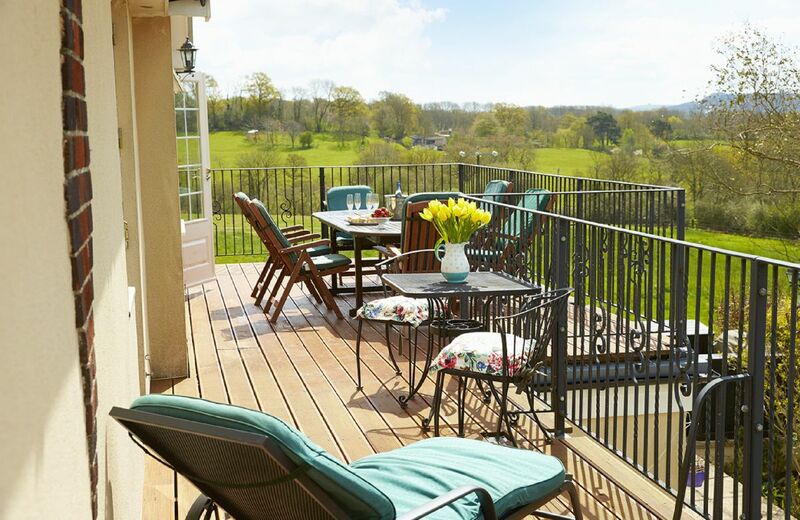 Ideal for an outdoor break as you can explore both Dartmoor and the nearby Tarka Trail. 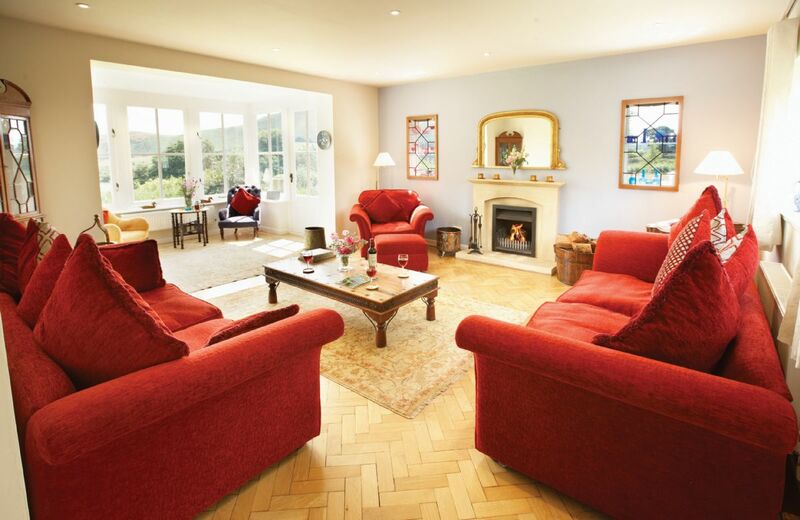 Beautiful big house, glorious views , excellent preparation of the rooms and welcome hamper. Highly recommended for a family get together. 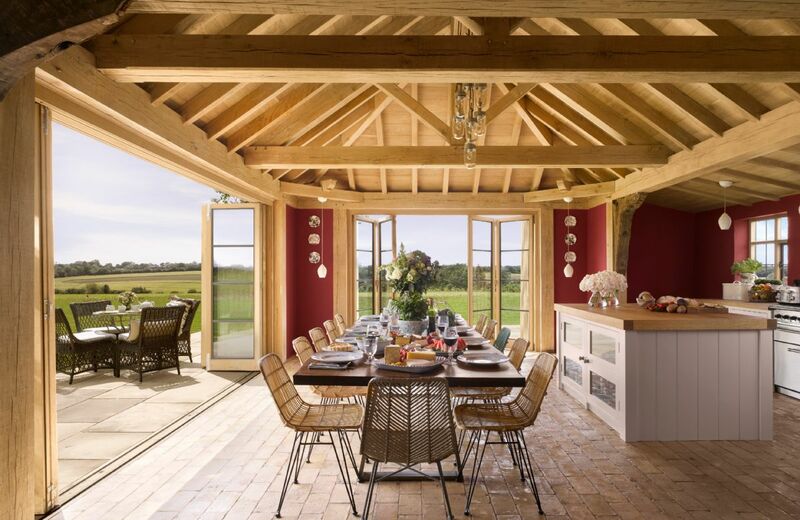 Superb setting,ideal for a family gathering. Beautiful house garden and countryside. 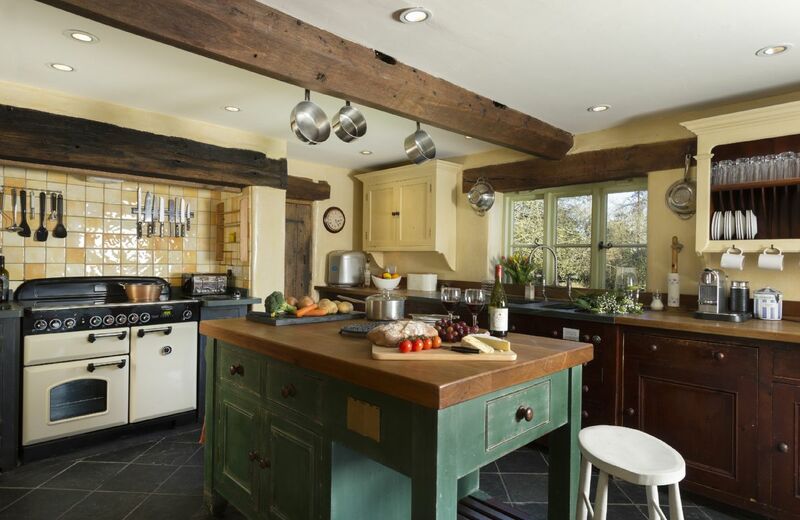 well kept and plenty of utensils in kitchen. we were welcomed with a lovely hamper of goodies,and the house was warm which was nice as we arrived on a chilly day. The bed linen was immaculate and towels with toiletries were placed on all beds.we had the best long weekend with our family and would highly recommend this property. Property was excellent - well equipped and in a great location for our party to enjoy walking and sightseeing. We enjoyed our week at The Oaks very much. The views from all the windows were stunning and the fact you could walk straight from the house was a huge bonus. Church Stretton was close and useful for additional supplies. We would thoroughly recommend staying here. Very comfortable and well equipped house in an idyllic location. Very clean and spacious with tasteful furnishings. It also has plenty of bathrooms so perfect for a larger party. 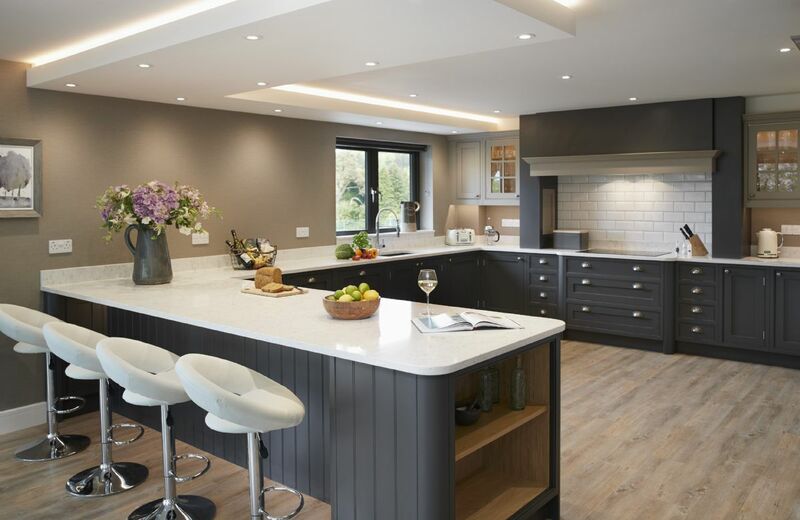 An absolutely stunning and spacious home, in a beautiful setting. We had a lovely family holiday here and would highly recommend it. This was a perfect property for our purposes - 8 women travelling from Sheffield, Frodsham, Oxford, Bath, Nottingham and Ashby-de-la-Zouch. It helped that all the beds except one could be made up as twins. The standard of the property was excellent, nothing at all to find fault with. Had a great stay at the Oaks in September. Weather was mixed but didn't stop us getting out and about. Loved coming back to cosy house. Very well equipped. The house was ideal, but the heating wasn't operational on arrival. The housekeeper was not available for contact, but the support team at Rural Retreats responded well and the situation was mostly resolved after a few hours. The AGA however, remained out of use for the duration. This did not cause our party any inconvenience, but may not suit others. Very clean, very well equipped, we wanted for nothing, in a beautiful location. The only improvements suggested would be a TV in the room with the open fire and more tourist information on hand, but these are minor picky points, which is all you can think of when you have perfection. Fabulous house in a magnificent setting, exactly as described. Very efficient service when microwave developed a fault. We had a great holiday, thank you! Beautiful house in a stunning location! Fabulous! Wonderful place to spend my husband's 60th! 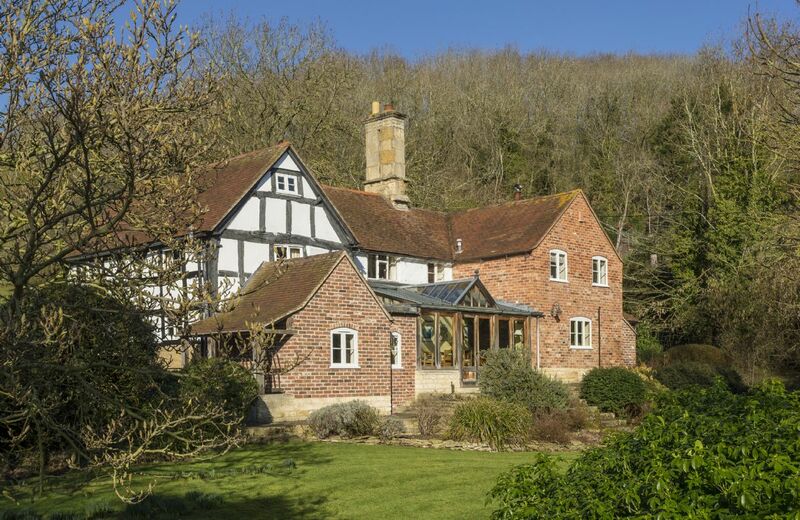 This substantial, detached house in the South Shropshire hills, situated on the side of the Long Mynd, enjoying stunning views. The property offers spacious and light accommodation within five bedrooms with four bath/shower rooms and gardens of approximately two acres. Plenty of room. Well equipped. Beautiful house and grounds in a lovely secluded spot. Well cleaned and loved the towels and cleaning stuff - everything catered for. Welcome pack very substantial and much enjoyed. Family found two of the bedrooms would benefit from darker curtains and black out blinds for ceiling skylights. Would definitely return. The Farmhouse and it's setting was beautiful. It totally provided the peaceful country experience we were looking for. 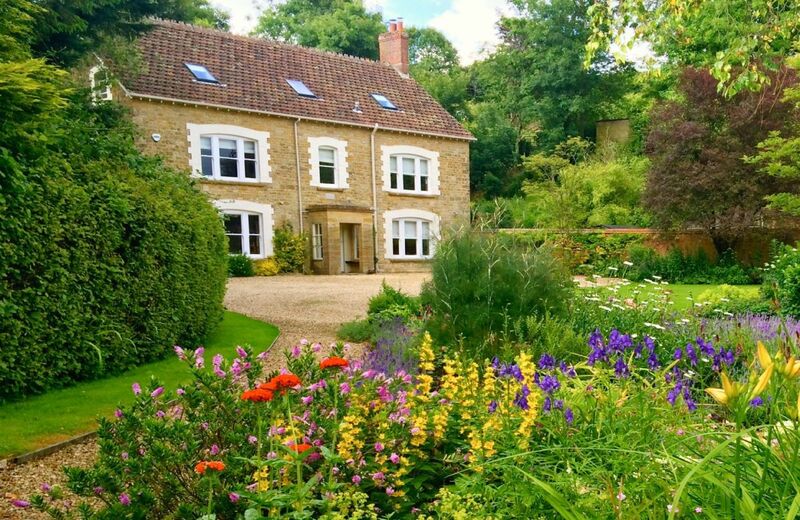 We were surrounded by rich flowering plants and sheltering trees with wonderful views from the house lawn across valleys and rolling farm hills. The house was most spacious and welcoming. Our family of 8 with 4 children loved our stay from the moment we first arrived. I highly recommend this property. 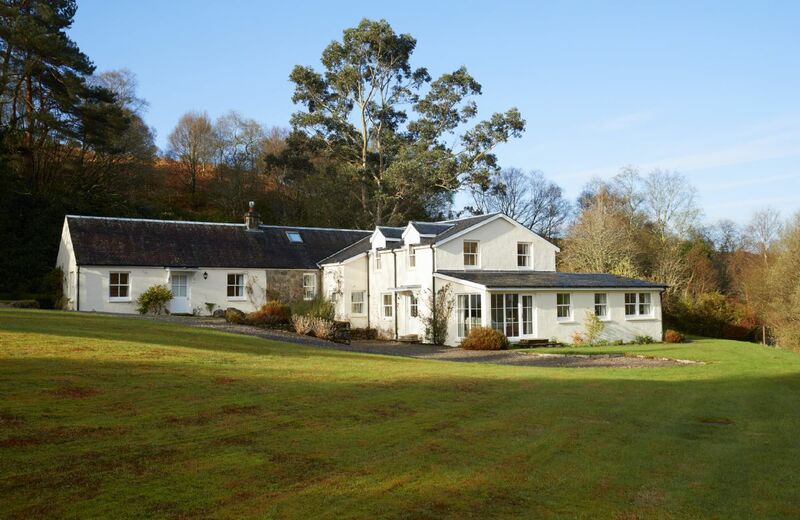 Beautifully appointed and peaceful farmhouse in a secluded setting. 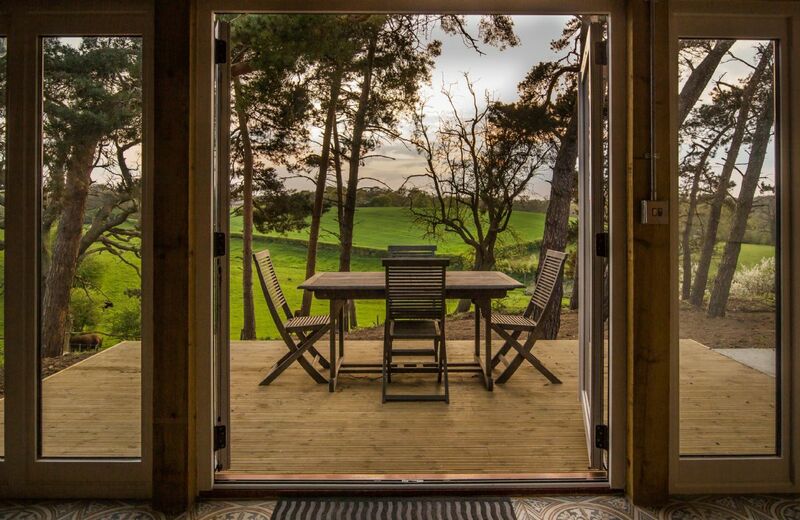 When you book through Rural Retreats you know that you will be staying in a quality property that is thoughtfully prepared for your arrival with an extremely generous welcome basket full of locally sourced goodies. 5 star rating says it all! House was lovely. Very comfortable for 6 people. Kitchen was well stocked with appliances. Views of the country side were fabulous! And we all loved the sheep! 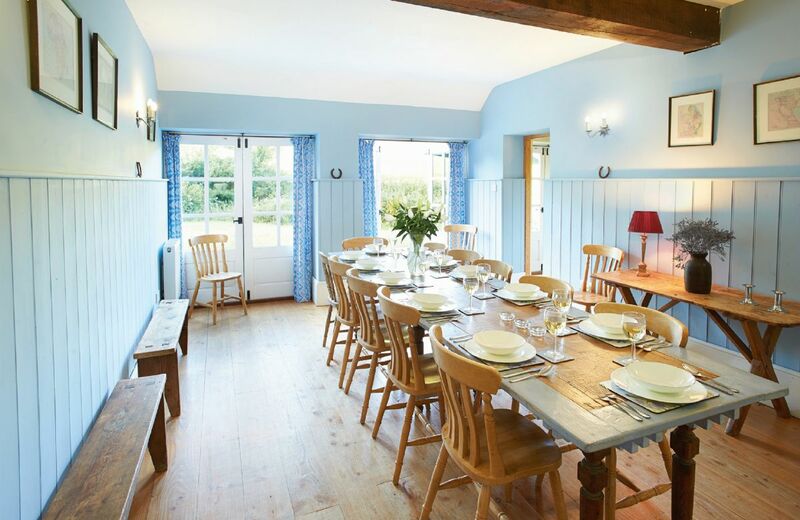 Another great review for Trencreek not forgetting the location and, of course, the sheep! Lovely property in peaceful location. Spotlessly clean and thoughtfully equipped for a perfect break. Highly recommended. it was a comfortable home situated in a good area. Welcome pack was lovely. Lovely house and garden with lots of space for big groups. Well equipped kitchen with all the things you need. My only complaint was the dishwasher didn't seem to work properly. Great location, very peaceful with lovely views. Highly recommended. Thank you for your lovely review. The dishwasher has now been replaced. A lovely property, great for a family with beaches nearby. House spotless with a cream tea hamper on arrival with welcome note. We had a problem with a power cut but this was sorted out the same morning by the housekeeper who organised the electrician. A pub was also recommended nearby where we had a great meal. Fabulous house and location. Lots of space and all facilities and equipment you could reasonably require. I think a lot of effort went into ensuring a comfortable and hassle-free stay. Only complaint was the pillows - which were a bit hard and uncomfortable. Thank you for your feedback. We are delighted by your comments about our service and the property and will pass on your comments about the pillows. We love the property, having stayed there with the same group for many years now. However it is starting to feel very tired and needs a lot of maintenance and decorating. Not sure if ownners are aware but most of the window cills are rotting. Thank you for your feedback - I am pleased that you love the property and return there often. I will certainly pass your comments on to the owners. We thought the farmhouse was lovely. See above! The farmhouse layout and setting was outstanding, the hamper wonderful and the only thing I would say that could be improved was that the house had clearly not been occupied for a little while before our arrival and the autumn flies had got into the property and the number of dead flies on the window ledges and floor in all of the rooms needed to be vacuumed up. Apart from that it was the most beautiful place we have ever stayed at and we will certainly be looking to return to RR again if all the properties are this standard. 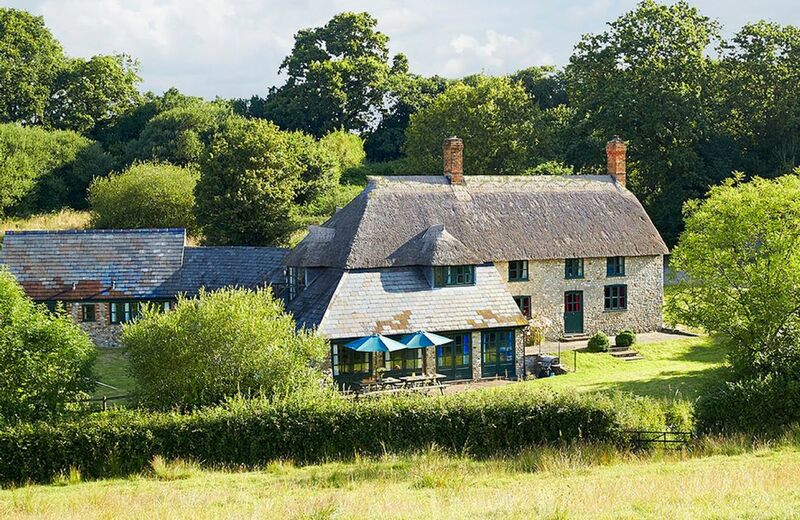 Trencreek Farmhouse, near Tregony, is a superb detached Grade II Listed farmhouse set in seven acres of fields and surrounded by beautiful countryside, three miles from the picturesque village of Veryan and just 10 minutes from the south Cornish coast. Lovely cottages and great welcome pack. Really helpful owner and great location. ceilings were low as described on the website but affected more room than we had anticipated and the entry doors were also low. in addition the games room was inconvenient to access. 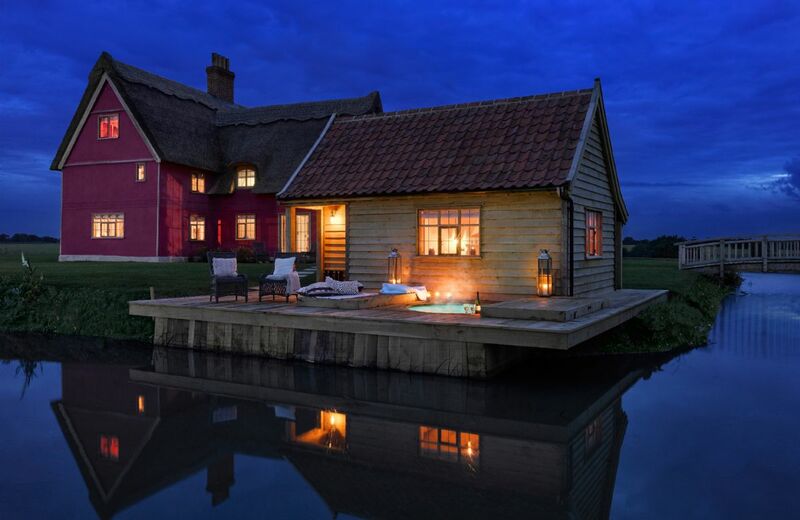 Brilliant cottages, exactly what we were looking for. They are lovely cottages, we were really appreciative of the hampers upon arrival. The only criticism is that we thought, from the original purchase, that we were getting one large house. I’ve reviewed the advert and details and struggling to see anywhere it’s clearly states that it’s two individual cottages? This is the only reason it’s 4 stars rather that 5, as it cause some slight problems with us all being together at some points. 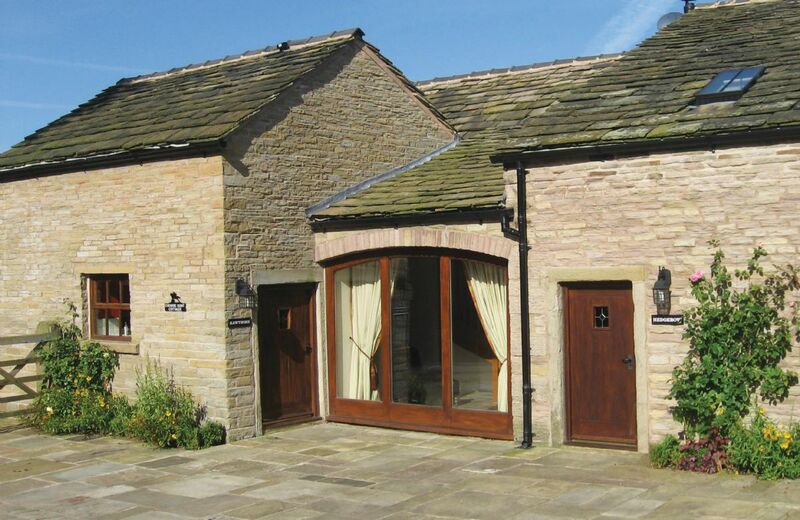 Superb cottages, very well equipped. Tastefully decorated. In a beautiful setting. The welcome hamper was very extensive and the fresh flowers were a wonderful touch. Would highly recommend. The cottages were good and we really enjoyed our holiday. However, there were a few niggles. The wifi didn't work properly at all; the games room is very damp and was not a pleasant environment to play in for long; there was no large tea-pot in Damson; the large plates didn't fit in the dishwasher when they were stacked and the cupboard door didn't shut properly. As I say these were annoying but didn't spoil our holiday in a lovely part of Cheshire. A great location! We all really loved the properties and needed to contact the owner for some help with accessing WIFI - she was really great - very friendly so very much appreciated this. Just fantastic ...so well equipped and beautifully furnished. It was a huge treat for us all to celebrate in! Beautiful property, well maintained. Sarah our host was great. A family reunion in comfort. We will definitely be back. Another lovely review for Cleabarrow Cottage. Thank you so much for your kind words. Good place, amazing house, clean, big enough, with full facilities. Outstanding country-side house , 5 star everything, excellent location, great hosts, with very helpful communication. It exceeds our expectation. thanks the you and the host . Sara was amazing. What a lovely review for our splendid new property Cleabarrow Cottage. Thank you so much. 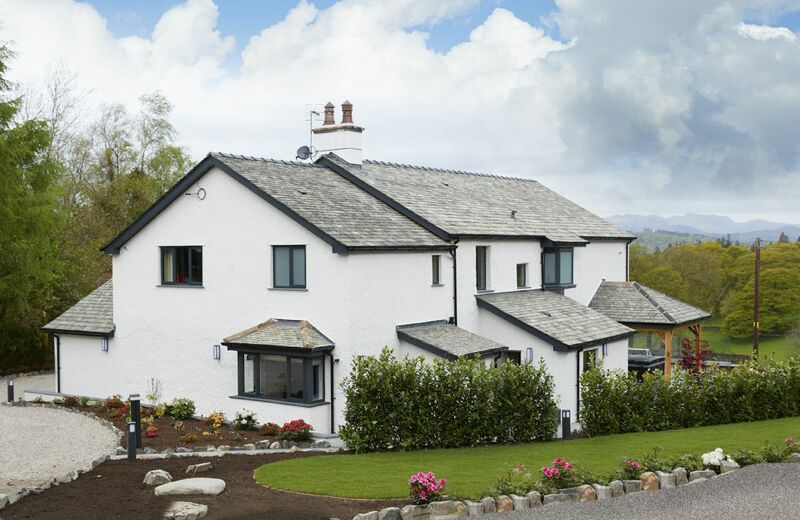 This substantial holiday home is more than a cottage, Cleabarrow Cottage is a stunning, fully renovated and extended Lakeland property accommodating 12 guests and provides a hot tub to make the most of the magnificent views across the Windermere Fells and beyond. 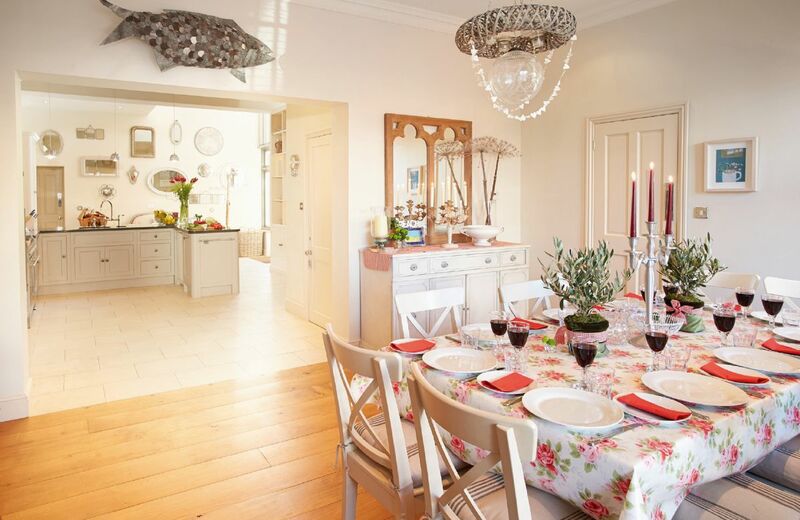 Garden Cottage is a beautifully restored four-bedroom Victorian cottage built into the wall surrounding the estate’s original flower and vegetable garden. 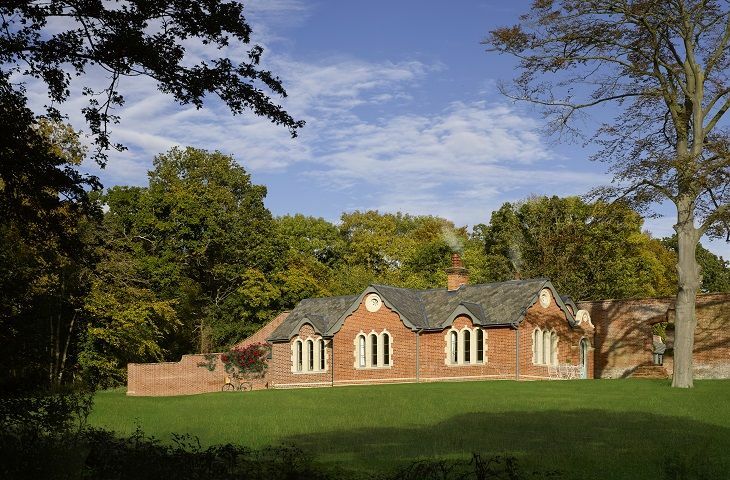 Built around 1848 in the cottage orne (or decorated cottage) style by the Brook family, the picturesque former head gardener’s cottage occupies an elevated position overlooking woods and hedgerows. This Suffolk White brick cottage features gothic round-headed ogee mouldings to bargeboards and round-headed windows with tuck pointing beneath a slate roof. 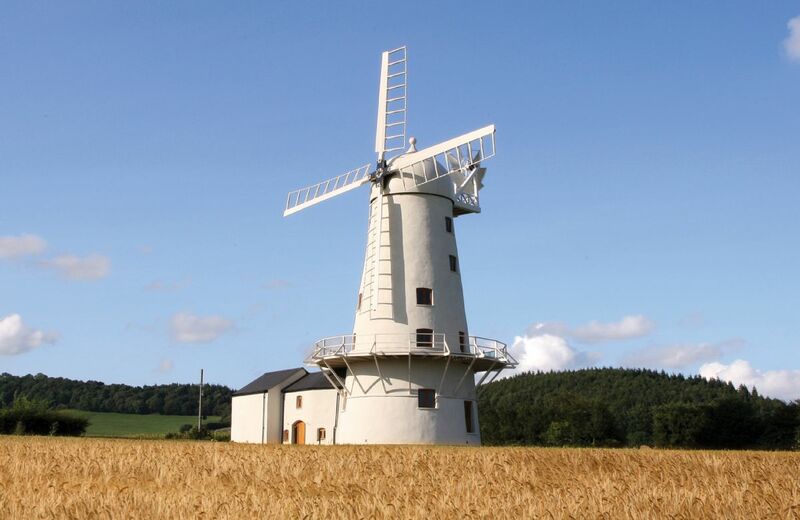 This fine mill is just north of the former market town of Usk in Monmouthshire. 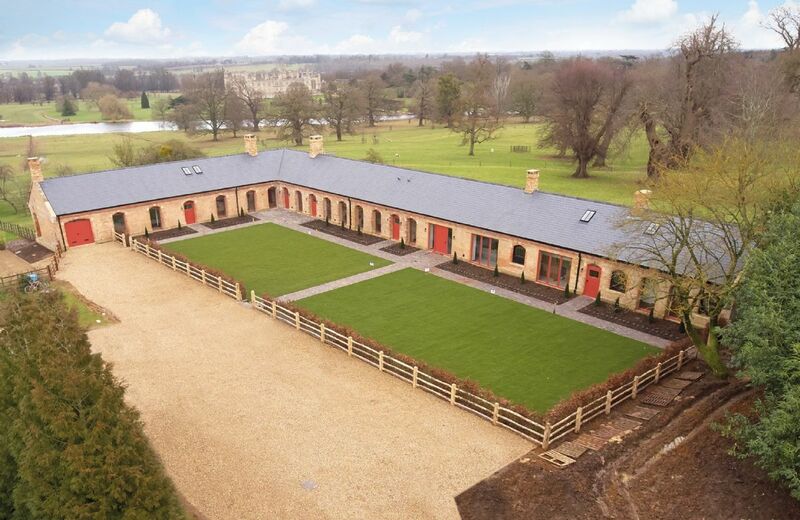 It was built in 1813 and fell into ruin before being lovingly restored some years ago. Attractions in the area include the Brecon Beacons National Park. 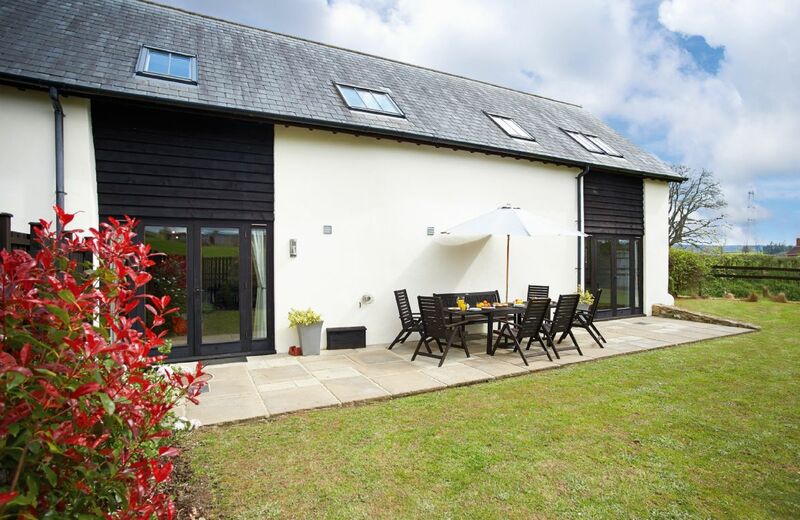 Lodge Farm is ideal for larger groups of family and friends to congregate and consists of three interconnected cottages. The charming village of Freston, located on the Shotley Peninsular, is an ideal base to explore the local footpaths, cycle routes and the River Orwell. This is a fantastic place to stay....so peaceful in landscape surroundings. Ted made the accommodations so welcoming with hampers in Hunters Moon and Harvest Moon. It was a home from home over Christmas with family ranging from two years to eighty-five years. We couldn’t have asked for a better place to stay. Will definitely come again. A lovely warm welcome in a spotlessly clean house. We greatly appreciated all the lovely food waiting us. Including bottles of wine! We very much hope we can return in the near future. Absolutely beautiful location, the barns were amazing and the owners were lovely. Will most definately be booking again in the future!!! Great feedback for Lower Curscombe, thank you so much. A combination of two properties sitting next door to each other, giving the flexibility of privacy if needed but with the option to travel as a larger party. 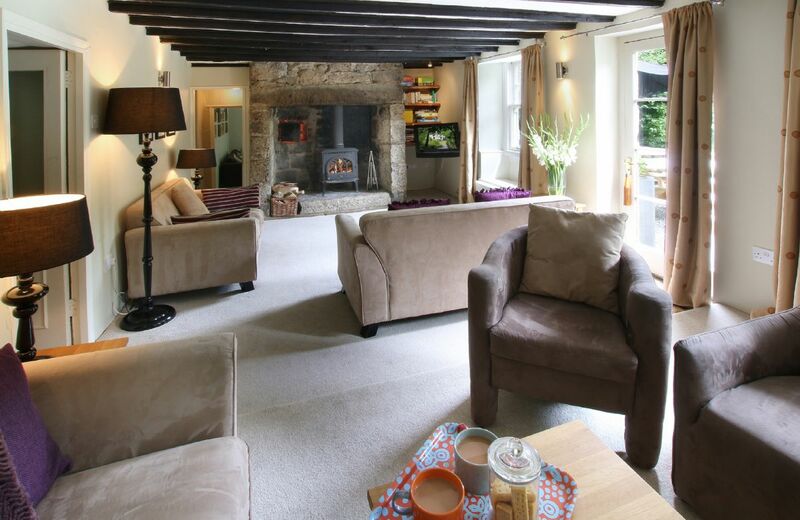 Both properties have open plan kitchen/dining rooms and sitting rooms with wood burning stoves. 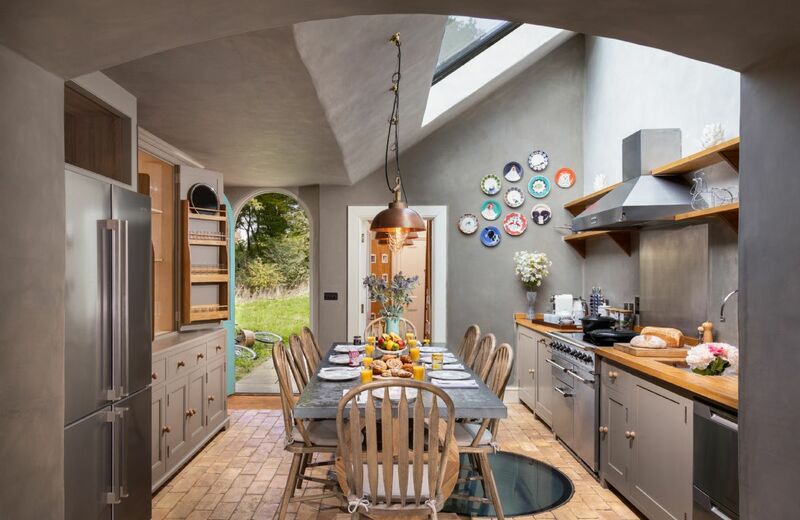 Features include oil-fired underfloor heating downstairs, wood-burning stove and electric double oven. They each have a fully enclosed garden. What you need is a moat in your life. Enter our Moat Cottage–a touch of novelty high up on a hill and just the place for fishing or toe dipping. It has 6 bedrooms, one in a cabin perched above the moat. 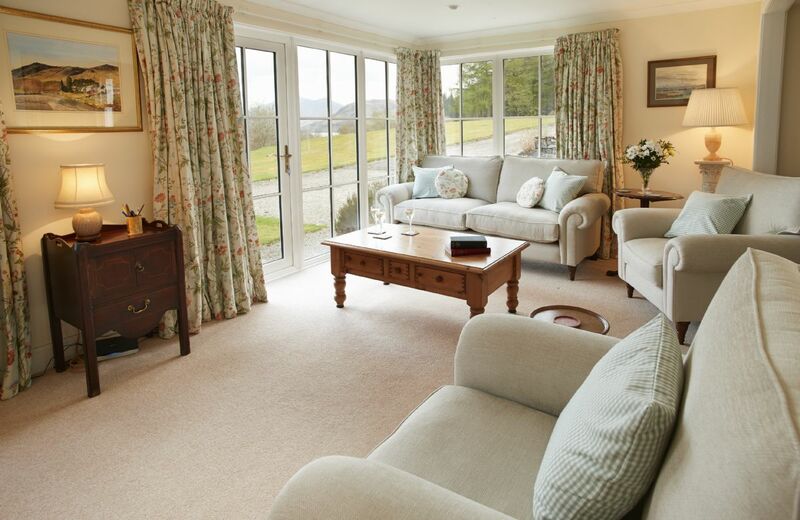 In the most idyllic setting is Port na Mine, a very special holiday home with breath-taking views of Loch Etive and Glencoe beyond and its very own track from the garden down to the shoreline. Five miles from this tranquil location is Taynuilt while Oban is only 15 miles away. It more than exceeded our expectations. Our whole family from 13 to 75 thoroughly enjoyed our experience. 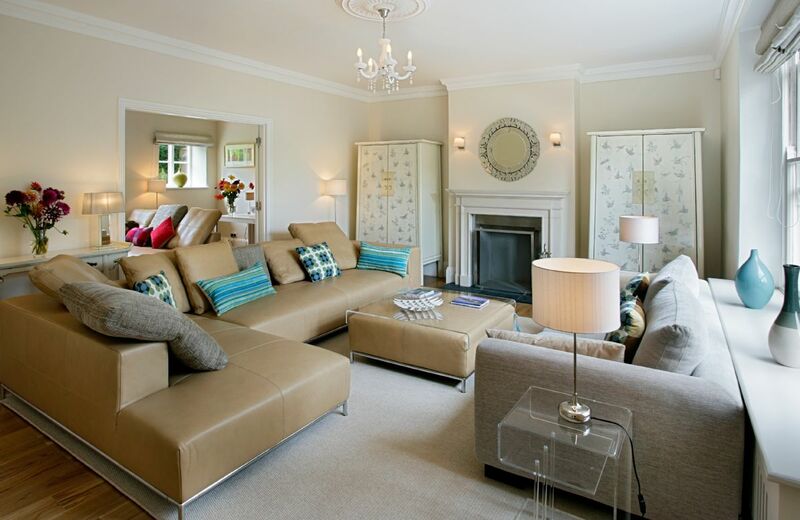 The house was lovely with beautiful large bedrooms, high quality bathrooms and spacious reception rooms. The kitchen is fully equipped for our large party to enjoy our meals. The decor and furniture throughout is very pleasing and everything is scrupulously clean. The housekeeper is pleasant, efficient and helpful. The surrounding village is beautiful and well worth exploring during your stay. Super spacious house to celebrate our golden wedding with three generations of the family of eleven. A very warm and comfortable house with beautiful bathrooms and roomy bedrooms. The housekeeper was most helpful. 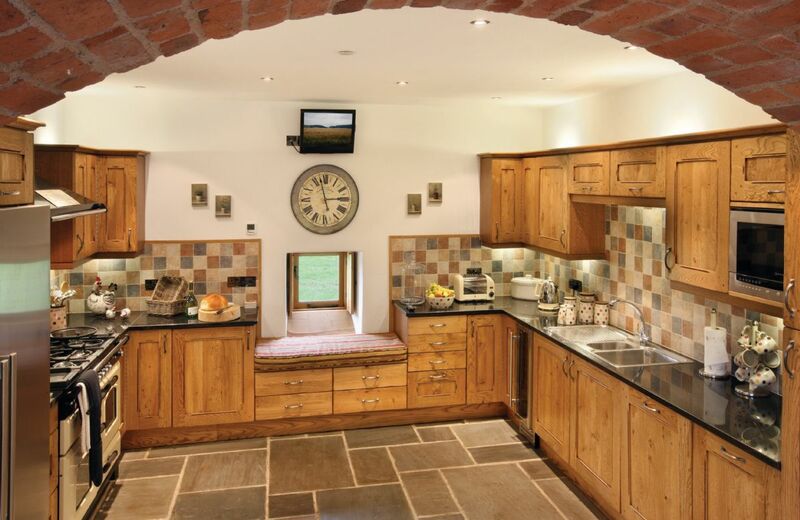 We loved having the option to cook on the Aga which made the kitchen and dining room so cosy during our January stay. If you are looking for a quiet, flower filled, small village getaway in a setting that offers you walks, local food and summer music, this is for you. The home is gracious and suitable for a larger family or small group. Great cottage, has all the facilities you need. 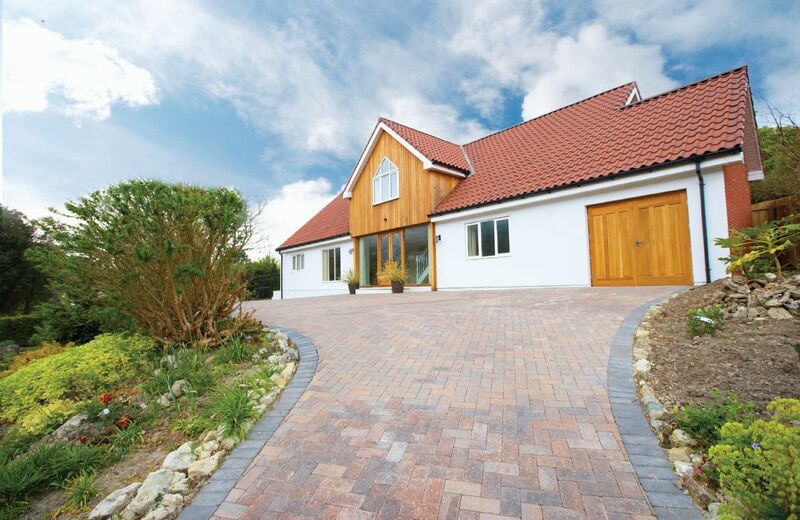 A fabulous house set in a picturesque part of Dorset with fantastic amenities. We stayed here for 3 nights in February 2018 and it met the needs of all 3 generations of our family and offered us a luxurious bolt-hold for the duration of our stay. I'm sure we'll be back for a return visit - perhaps in the summer months to enjoy the expansive garden. House & garden excellent along with the very handy pub literally across the road (good food). The location of the house is a little remote. We found the positioning of the Key Safe very inconvenient, beneath the bench seating in the front porch. Access required being on "hands & knees" and even in daylight it was almost impossible to read the numbers to key in. A hand drawn map or instructions would be useful on best way to walk to the Hill Fort. We did this but struggled to find any marked paths. So good to return to Puckhams, such a comfortable house with light, spacious rooms , beautiful furnishings and a really well tended garden. It provided the perfect base for our annual girls getaway, we would all highly recommend. Thank you Rural Retreats. Make sure you try the New Inn across the lane, a small cosy pub where we enjoyed a wonderful Sunday roast!! Wonderful house , comfortable beds and great facilities. Felt like a taste of luxury. Quiet peaceful location close to footpaths and local pub. Very nice house in an excellent location. Standards high everything we needed for a family get together. Gift hamper supplied with a little of everything we needed for our stay. 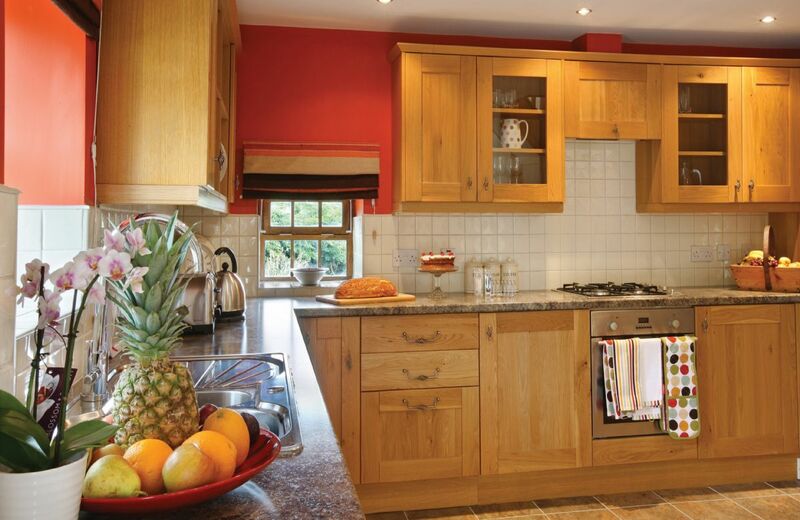 The cottage was spotless and beautifully laid out as well as very well equipped. The welcome pack was comprehensive and nicely presented- couldn't fault it for comfort and cleanliness as well as being so wonderfully spacious! Every facility provided with an excellent welcome pack. Housekeeper Danielle was superb and found the toy which our 5 year old granddaughter had mislaid. House itself was looking a bit distressed and in need of a makeover but was absolutely perfect for our family get together. Two dishwashers met the needs of the twelve of us! Housekeeper was very helpful and pleasant. The house and gardens were lovely with lots of space and excellent facilities. 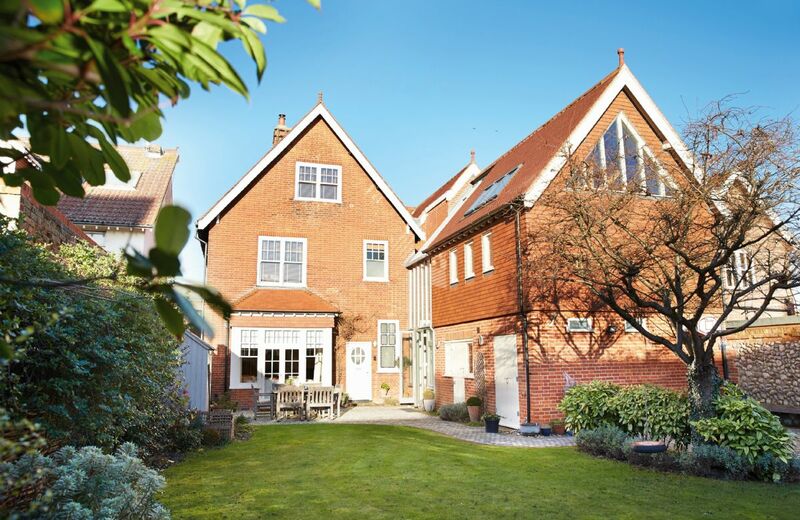 A spacious, characterful and very well appointed property - all that we hoped for. Unable to leave these comments at the time as couldn't locate a Visitors Book..
We try to come for new year every other year; we love it so much. Two minor things - no lock on the first floor bathroom door, and the dryer takes a really long time to dry clothes. Thanks so much for making our home from home so ideal. Beautiful house and excellently equipped. Garden lovely - peace and tranquility. 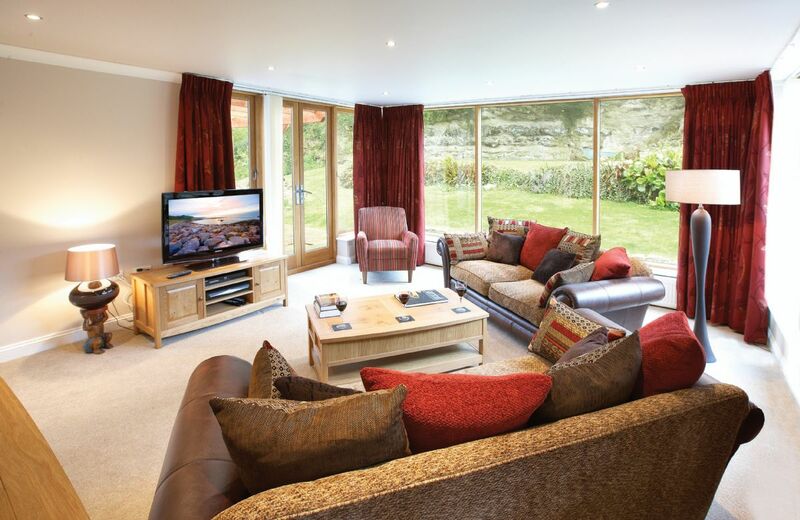 Puckhams is wonderfully situated in the delightful village of Stoke Abbott. 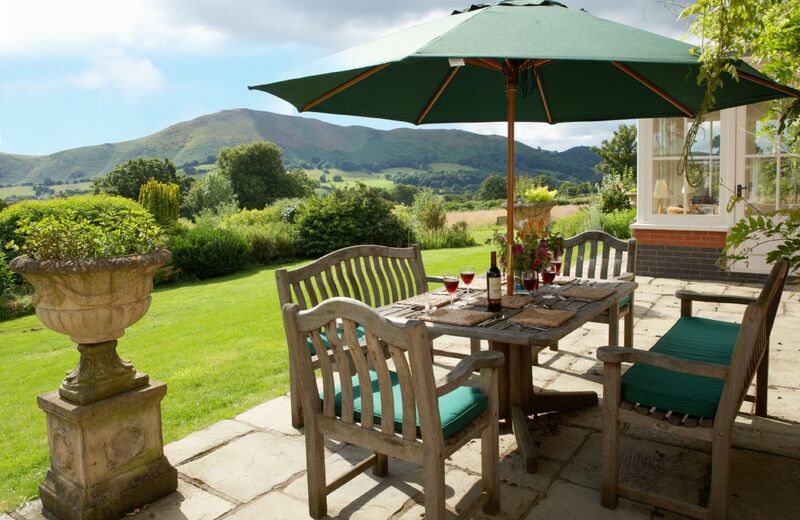 The property sits in its own beautiful mature gardens with fine views. The surrounding countryside provides an abundance of wonderful local produce and walking experiences. For holidays taken between 12 April 2019 And 28 June 2019 Minimum of 3 nights booking. The property was the best rural retreat we have stayed in. Sarah who met us on arrival was extremely friendly and helpful throughout our stay. We were all amazed at the standard of the house, our only criticism was in the kitchen, an extra foot between the cooker and the sink would have been beneficial. The views from the house were stunning over open farmland. An exceptional four day break, enjoyed by all our party. 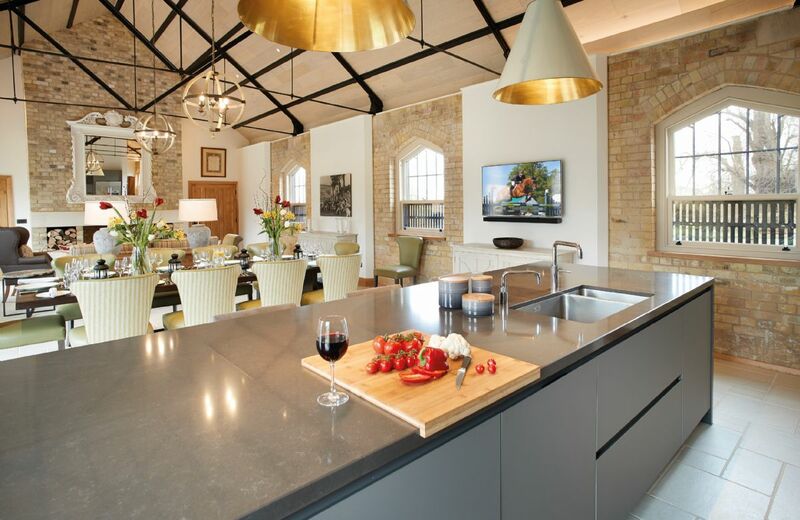 Beautiful location, immaculate interiors and Stamford is a fantastic town. Would definitely recommend and will be returning! Fabulous property in a fabulous setting. The Dairy was immaculate in every way. All the bedrooms and bathrooms are of the highest standard. 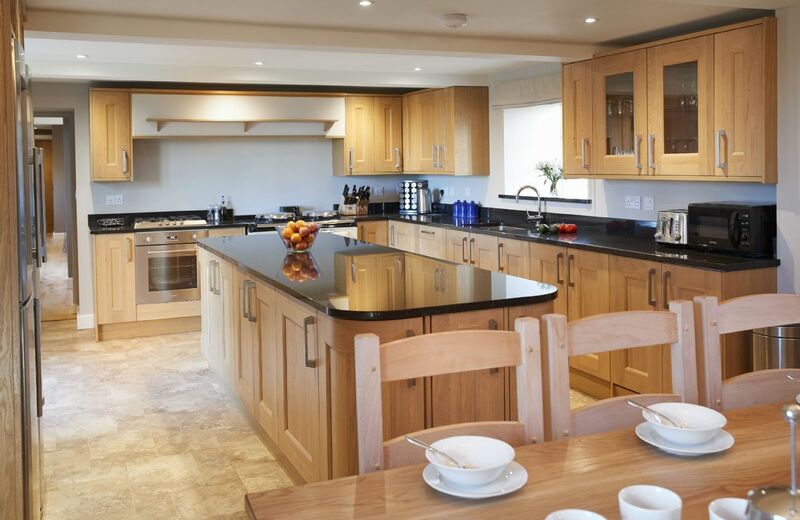 The kitchens provided all the equipment needed and the sitting rooms were well furnished and comfortable and could accommodate all our guests. The cake in the welcome hamper was delicious too! We would happily return and would have no hesitation in recommending it. 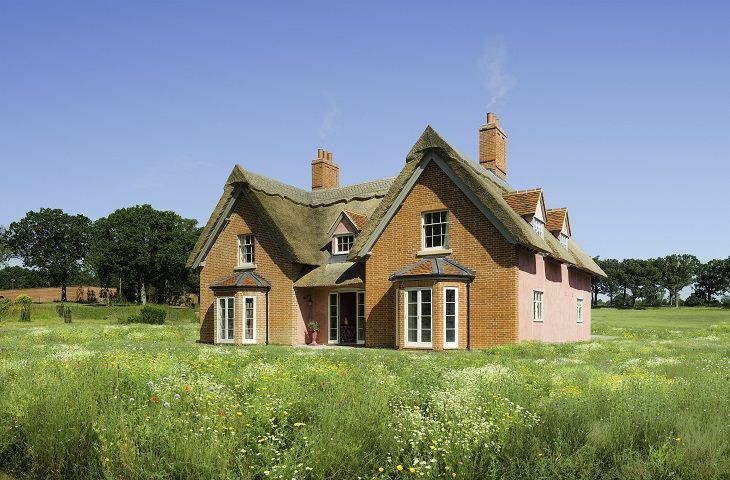 Once the Home Farm to Sibton Park and without doubt the oldest building on the estate, the Farmhouse has been faithfully restored and extended using Suffolk materials to create an unusual family homestead. 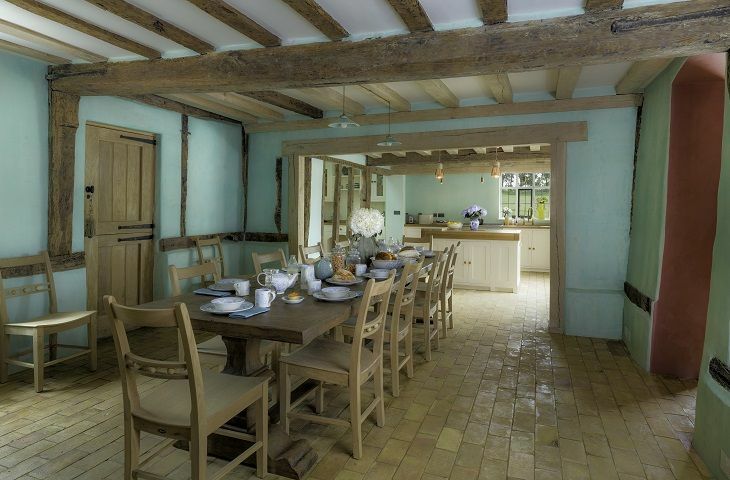 The oak-frame of the house, which has its origins in the 17th century, has been rubbed back and polished with beeswax, and Suffolk brick floors re-laid to take under-floor heating. The original 17th century leaded lights and later Georgian windows have been reinstated affording wonderful views across the park to the lake and wider estate. 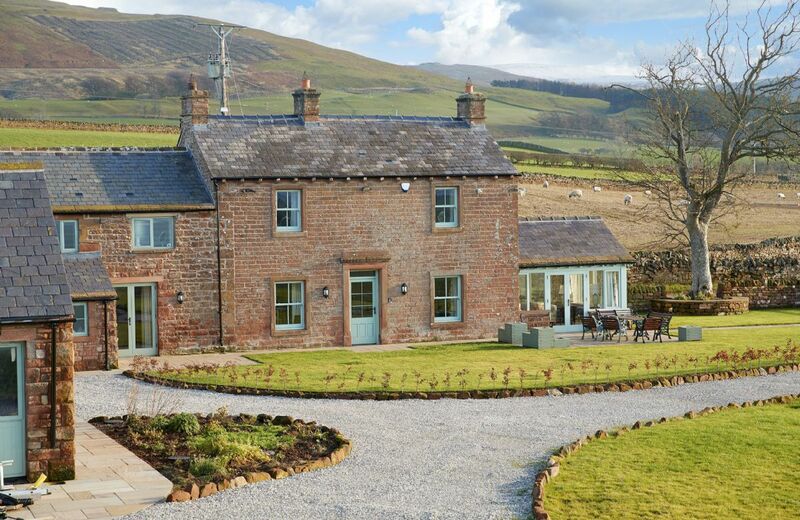 With the Pennines on one side and the Lake District on the other, Todd Hills Hall Farmhouse is a walker’s delight. The traditional farm house is set within the Rowley Estates farmland, so there are fields and superb views on every side. For holidays taken between 22 April 2019 And 5 September 2019 Minimum of 3 nights booking.